I'm under the impression, the NMA might be quietly shrinking on the drawingboards. Not offering a big, quiet, geared fan container carrying NB might not be the bold market proposition the Boeing sales teams are looking for, moving forward from 2025. The MAX backlog might prove rock solid during a next recession. Or not, unidentified customers, leasing companies and large legacy's prove flexible. They don't get "punished" by Airbus and Boeing when they change their plans. Investing when margin starts hurting, might be years too late, you are struggling for 5-7 years..
Aboulafia pegs Boeing's likelihood of launching the NMA at 60-65%, saying the company could alternatively redirect $8-10 billion in potential NMA funds to shareholders via stock buybacks or dividend payments. But he believes Boeing unlikely to ignore the success Airbus has had selling A321neos, which that company now offers in a longer-range derivative marketed as a 757 replacement. Airbus holds about 2,160 A321neo backorders, while Boeing holds just 450 orders for its competing 737 Max 10s, according to Flight Fleets Analyzer. "If I were Boeing, I'd say, 'I've got to do something here,'" Aboulafia says. If Boeing moves forward, Airbus may need to react, possibly with a re-engined, re-winged variant of the A321neo – an aircraft some have assigned the handle A322neo, Aboulafia notes. The boys in Bordeaux probably prefer Boeing going for a real big, capable WB NMA, while they sit around the table with UA, JAL and KLM. Re: Boeing 737 replacement, back on the table in summer 2019? So what’s giving you the impression the NMA is shrinking? All this says is Boeing should use the NMA as a basis for NSA. I wouldn't disagree with this thought. Hence why I think NMA is a lot smaller than some are expecting so they can reuse a lot of it for NSA and launch NSA a lot sooner than expected with entry into service 2028ish. NMA- Small would be something like A321 Capacity plus 10%, and NMA Large - A321 Capacity +20-25%. They will sell a lot more NMA's at +10% and +25% capacity over A321 vs an 8W at an 50-70% capacity increase. Yes Airbus can build an 322 or 323 - but Boeing should have a production cost advantage and more revenue potential in a tight light 7W (only 25% more area than A321 cross section), with 50% more premium seating and 50%+ more Cargo Volume. NMA's business case is contingent on it being able to beat A321neo economics on at least a subset of routes (most likely in the longer, more premium part of the A321's mission envelope). If it can't achieve that objective, which you're kind of assuming from the start, then it won't get built. But we don't know that yet, and at least some airlines (including 2 of the US3) have publicly indicated they're very interested. In that scenario, the question for Boeing's number crunchers becomes whether NSA has a reasonable return on investment at any given time given the technology expected to be available at that time. We've heard repeatedly that the answer is likely "no" any time in the 2020s, given the limited technology improvements available and the profitability of the MAX program. Nevertheless much of the work Boeing has reportedly been doing for NMA before launch would likely be reusable for NSA, whether or not NMA goes ahead. This is sort of a redundant thread, and doesn't point to any information beyond your own speculation. Agreed, the article is clearly labelled as ANALYSIS and adds nothing new. Interestingly enough the same man who was vilified for predicitng the doom of the A380, Richard Aboulfalia, is now being used as a source of insight on the NMA? The article says the same things that have been speculated in the 797 thread, namely that NMA is being delayed while Boeing puts the squeeze on the supply chain, and NMA is likely to be a pre-cursor to NSA. In return the supply chain is dragging its feet because it knows if it caves on on NMA, it will have to cave in on the much bigger NSA program too. Maybe we should all write for FlightGlobal? I can make the same Revelations for them, LOL! During a period of unseen backlogs and airline profits, Boeing was not able to assemble a group of launching customers to launch a MoM. They talked with all airlines and were expected to launch in 2017, 18, 19 and now 2020. The market responds is what it is. There are a great many airlines that have publicly expressed ardent interest in NMA, including majors in all three of the world's largest aviation markets. This is not a 747-8 or even 777X situation where many likely customers are keeping their distance (or, in the case of the 748, publicly denying interest). Boeing has 1000s of planes on order. Stock is going up. Is there a need for Boeing to launch something new? It frankly ruins the opportunity to have a pleasant discussion. If Boeing extracts more value from the current and future supply chains, it sets the bar higher for launching a new model (the same argument if both OEM's get equal access to new engine technology). While any number of possible customers have expressed an interest, what has not been disclosed is the value proposition (performance and related pricing), and the 'gap' between viability for Boeing and potential customers. The industry has reached unheard of levels of public politeness - look no further than the RR and PW engines issues. After 5 years, publicly airlines are saying we are interested, but behind closed doors, the numbers currently just don't add up. I don’t think this thread was started with the intention of a pleasant discussion. There are no facts or evidence substantiating the hyperbole and innuendo. Just to be contrarian, what if they go big, but light. A short range, elliptical 777! I mean, there is absolutely no indication whatsoever that that's in the plans, but we're all about the CASM here, and a lighter 777 would flatten all competition..
IMO, Boeing needs to do something - NMA, NSA, whatever - or risk losing lots of engineering talent and the current free cash flow. However, I couldn't care less what they end up doing. Whatever it is will be interesting and something to discuss (argue over) for years to come. Ditto with Airbus. Honestly, all this delaying is irritating on a message board but it'll happen when it happens. Kevin Michaels and Richard Aboulafia in the FG article argue that Boeing wants to have a stronger grip / revenue stream from the after market (LRU's, engines, maintenance). It's been a long term ambition but the 737MAX won't bring that, there are too many OE's, independent shops, stocks and service providers globally. You can buy some (KLx) but Collins Aerospace (UTC), Safran, GE, Honeywell and a few others have IP, infrastructure and their own strategies. A new big 797 as it looks now might provide a better grip on the aftermarket, but will probably sell 2000 in 20 years at best, grabbing half of the market potential. That's not a lot compared to NB's where you can deliver 2000 in 3 yrs. And NB's make twice the number of flight cycles. Only staring at the 5000 MAX in the backlog might prove blinding, in a market that absorbs 2000 NB's every 18 months. The MAX margins probably aren't eye watering and customers aren't loyal at all. The oval 7 abreast we have been staring at for the last 20 years http://www.patentbuddy.com/Patent/6616100 might not be a the best idea since sliced bread. As many have explained over the years https://leehamnews.com/2017/11/08/new-mission-focus-nma/ but were ignored. Mainly because Boeing didn't say so & we love to. Boeing and a large group of sympathizing supporters came up with "wide airlines interest", "enterprise financing", "industry makeover", "deliberate decisions", "closing the business case", "secret development", "transformation business models" and other intoxicating marketing talk to hide reality: **airlines balked**. Over the last 5 years they ordered about everything, except Boeing's oval 7 abreast 5000Nm at NB costs. Now I understand that's not what most here want to hear, but it just an objective observation. I hope the latest 797 delay will lead to a fresh refocus on what airlines really need. And the supply chain can produce profitably. And not blur the discussion with old ideas, mantras, referencing those that agree / "show interest" only. Because that group seems to have shrunk over the years. I think an overhaul of Boeing's 100-270 seat aircraft portfolio (90% 737-8 ?) is overdue, while the industry moves on. Can I prove what is needed / will happen? No, but who can? Boeing? This has higher priority than a 767 replacement. I think there is little doubt that whatever happens with the NMA it is a precursor for the 737 replacement. The only question is whether the NMA actually gets built. Certainly it is fair to ask that question considering the delay in launching it; but Boeing has always been very careful about launching new jetliners (not derivatives). The lowest selling one they ever launched, the 757, still sold over 1,000 copies. I am sure they will not launch it unless and until they are sure that they will sell at least that many. Certainly the success of the A321 has to bother them; the 739 and 7310 just are not competing. So I believe what Boeing is considering is whether they can sell enough of a model specifically aimed at the space between the 737 and the 787, and then later build the 737 replacement tailored for the shorter range/lower capacity space where the 737 is, or whether they need to make the 737 replacement fit the same space that the A320 family occupies, but stretch it a bit with more range. From what I see Boeing believes that there is room for two distinct aircraft here, and considering the numbers of aircraft involved they are almost certainly right. The problem they face is that they have to come up with something that at least matches the A321s economics but offers more range and capacity without getting too big. And they have to get it right, which I believe is why it’s taking so much time to get it done. If they do, it means that the MAX has a new lease on life, as the 738MAX arguably has a slight edge on the A320neo, but the A321neo clearly outshines anything Boeing has. The NMA, if successful, will change that. And it will make the transition from the 737 to the NSA a lot easier when it comes. I think there is little doubt that whatever happens with the NMA it is a precursor for the 737 replacement. The only question is whether the NMA actually gets built. Certainly it is fair to ask that question considering the delay in launching it; but Boeing has always been very careful about launching new jetliners (not derivatives). The lowest selling one they ever launched, the 757, still sold over 1,000 copies. I am sure they will not launch it unless and until they are sure that they will sell at least that many. Certainly the success of the A321 has to bother them; the 739 and 7310 just are not competing. So I believe what Boeing is considering is whether they can sell enough of a model specifically aimed at the space between the 737 and the 787, and then later build the 737 replacement tailored for the shorter range/lower capacity space where the 737 is, or whether they need to make the 737 replacement fit the same space that the A320 family occupies, but stretch it a bit with more range. From what I see Boeing believes that there is room for two distinct aircraft here, and considering the numbers of aircraft involved they are almost certainly right. The problem they face is that they have to come up with something that at least matches the A321s economics but offers more range and capacity without getting too big. And they have to get it right, which I believe is why it’s taking so much time to get it done. If they do, it means that the MAX has a new lease on life, as the 738MAX arguably has a slight edge on the A320neo, but the A321neo clearly outshines anything Boeing has. The NMA, if successful, will change that. And it will make the transition from the 737 to the NSA a lot easier when it comes. If the NMA have to come up with something that at least matches the A321s economics, they probably have to shrink it. Looking at the 737 orderbook I think Boeing has 4650 737MAX in the backlog. At least 4200 of which are 737-8. The rest is 737-7, 737-9 and 737-10. Airbus has 3700 A320 NEO's in the backlog, 2150 A321NEO's and 400 A220-300's. They are studying A220-500, A321 XLR and possibly A322NEO. The big question: Is the 737MAX just fine for 2025-2032? Why? If the answer is "hopefully", better put Boeing 737 replacement, back on the table in summer 2019. Is all this fuss because the mid-haul market is about to have an efficiency champion? The A321 has too little wing and flies with low payload at range. The 788 or A339 are too heavy on 4,000 nm missions unless the cargo hold is loaded up. All indications are the -8MAX is very successful. I believe the -10 MAX will do extreamely well after the first CMC PIP for the leap-1B. The ROI for replacing these earlier would be poor. The problem they face is that they have to come up with something that at least matches the A321s economics but offers more range and capacity without getting too big. And they have to get it right, which I believe is why it’s taking so much time to get it done. If they do, it means that the MAX has a new lease on life, as the 738MAX arguably has a slight edge on the A320neo, but the A321neo clearly outshines anything Boeing has. Since every aircraft must be optimized for certain missions, it is possibly to exceed A321 economics at range. First is the wingbox and wing. The old school ones weight tons more than a modern, structurally efficient set. The aspect ratio of the A321 wing won't allow much underside laminar flow. The 797 wing will almost certainly have folding wingtips to enable this aerodynamics. I do not understand the MAX images being shown in this thread with stubby wings and scimitar winglets. That is the wrong optimization for 2,000nm+ missions. The engines on the A321 are optimized for a 2 hour mission. By that I mean the bypass ratio was limited to keep down engine weight to improve climb performance at a sacrifice of cruise fuel burn. Partially, the 3.5:1 gearbox enables a better optimization. The widebodies out there have tons of weight in them for carrying cargo and fuel (for range). The 797 will go a middle ground enabling better range (India to EU or TATL) without trying to be everything. Compare the weight of the A339 or 787 vs. A321 per passenger and quickly it is obvious the big planes need hours of flight time to be competitive. I see a gap in the 4,000nm to 5,000 nm area. Yes, PIPs on the 797 will probably extend the range as time goes on. Consider the A333, it is now too heavy compared to today's competition, for near-TATL without cargo demand. The A321 is very good on shorter missions. IMHO the NSA needs more optimization and thus needs the NMA to debug subsystems and such. My suggestion is that there is a larger, more urgent challenge than NMA just around the corner. If Boeing denies, ignores, they'll get damaged. I think they won't, and we will see "NsmallMA" concepts pop up this summer. Fix the roof first. Which challenge the Chinese airliner? 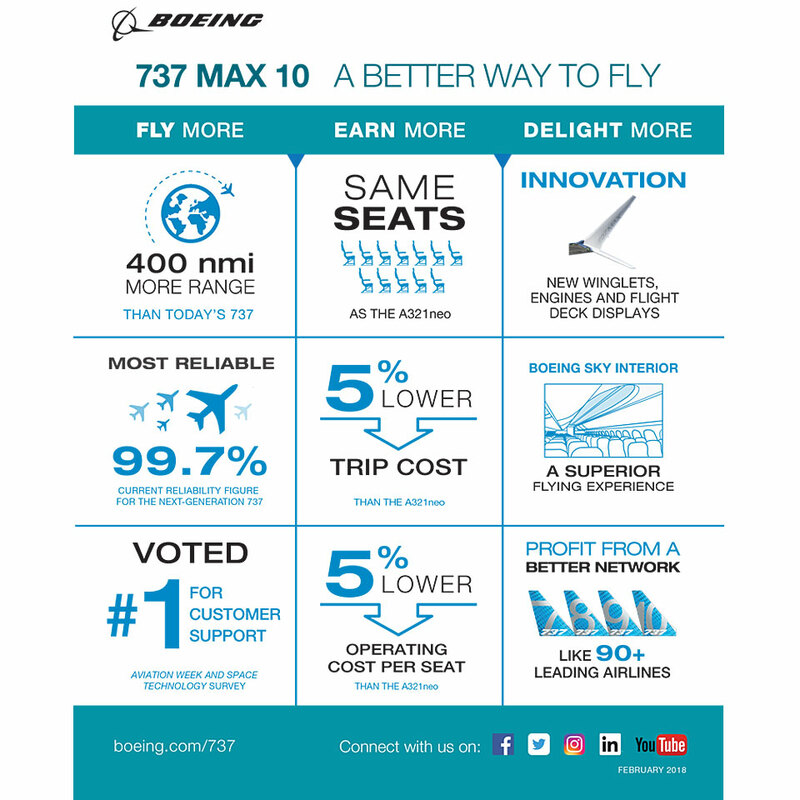 If you look at the yearly orders and the backlog of the MAX the roof is in order and the financial results allow Boeing to do enter the only completely uncovered market segment, the area between 737 and 787 with a new highly efficient product that only revolutionizes the way Boeing will make money in the future. This new concept on creating earnings over the operational life of the airliner is an idea, that imho is the biggest hurdle for the NMA, as any airline with a strong MRO business should be very careful about embracing this idea, as it takes one revenue stream out of their control and also takes operational costs out of their control to some extent as well. What I find strange is the thread starter's suggestion that NMA has some sort of issue with customer interest while backing that up with an article that never mentions that alleged lack of interest. Such changes, however, shifted aircraft programme value from Boeing to suppliers, which now scoop up 70% of profits (including aftermarket profits) generated throughout the chain. Some large suppliers post 15-20% profit margins, significantly greater than Boeing's or Airbus's, Michaels says. Now Boeing is transforming again, wringing concessions from suppliers, pursing vertical integration through acquisitions and joint ventures, and investing in new engineering and modelling technology, Michaels says. "The likely launch of the NMA… or it could be the next single-aisle, is going to be the next evolution of the jetliner business model," he says. 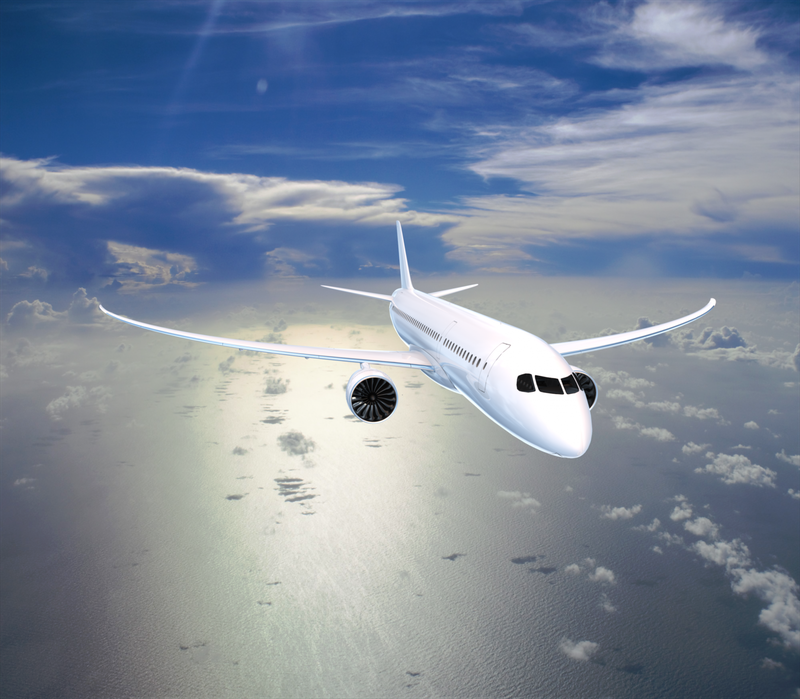 "This next-generation business model is actually shifting value from suppliers to the aircraft OEMs." People have provide detailed lists of airline executives expressing interest in the NMA, and it gets sluffed off because it doesn't the lack of interest narrative. Some ask for commitments, but commitments cannot be made before the launch, and positive comments are the only kind of commitment an airline executive can make. Of course this is well understood, but it too doesn't fit the narrative so has it has to be discarded. Or, we can go with what the main thrust of the thread starting article tells us, Boeing is busily working on changing its relationships with its supply chain so it can capture back some of the 70% of the life cycle profits that the supply chain now keeps. I hope people don't fixate on the pictures without reading the article because it isn't saying what some seem to be projecting that it does say. Its main thrusts are that NMA may be a pre-cursor for NSA and Boeing is using the pre-launch period to improve its production processes and extract more life cycle revenue from the supply chain. These are all things we've been saying here on a.net for a long time. It does not say that customers are not interested in the NMA. However there is a strong connection between the customers and the supply chain. Because many airlines are also big in the MRO business and often have directed relationships with the parts suppliers. In the context of Air Canada’s strategy to take some traffic out of the USA and connect via its international hubs, an aircraft of the NMA size could work for the Canadian carrier, says Ravinescu. Delta Air Lines and Boeing have discussed the possibility of the carrier launching the proposed New Mid-market Airplane (NMA), as Delta seeks a replacement for more than 100 ageing mid-market aircraft. "We've had discussions with Boeing about being a potential launch customer," says Ed Bastian, chief executive of Delta, at the National Press Club in Washington DC today. United Airlines is considering the Airbus A330-800neo and Boeing New Mid-market Airplane (NMA) among options to replace its fleet of aging Boeing 757s and 767s. The Chicago-based carrier is looking at replacements for its 77 757-200 and -300s, and 51 767-300ERs in the near term, a presentation by senior vice-president of finance, procurement and treasurer Gerry Laderman on 27 February shows. The carrier’s senior vice-president of integrated operations David Seymour says American’s 787 delivery timeline keeps an NMA order on the table, though he stresses American knows little about the NMA’s ultimate production timetable or final specification. Still, Seymour says the NMA could perform well in the carrier’s network and could replace the same aircraft types as the 787. Copa Airlines is considering Boeing's planned New Mid-market Airplane (NMA), which it says could potentially provide additional capacity on its longest routes, chief executive Pedro Heilbron tells FlightGlobal. The Panamanian carrier's interest in the NMA is significant, given that it has steadfastly stuck to a narrowbody fleet all this while. However, Heilbron says a more cost-efficient widebody could convince Copa to change its mind. "The existing widebodies make no sense," he tells FlightGlobal ahead of the US Chamber of Commerce aviation summit in Washington DC. "But the NMA might make sense for Copa, if it gives us more capacity and range in what we hope will be a much less expensive and easier to operate aircraft compared to the 787 or A330." “Whether you’re running out of slots or whether you’re just looking to optimise capacity for the peak levels of demand... an airplane that has the flexibility to carry 20 to 30 per cent more people at the right time is going to be compelling," Mr Hulst said on the sidelines of the International Air Transport Association's AMG in Sydney last week. "Also, with the range capability to fly as far as somewhere like Japan, into and beyond places like Singapore, and secondary markets in South East Asia, it becomes a really compelling opportunity." Norwegian is "very interested" in Boeing's proposed New Midsize Airplane design, says chief executive Bjorn Kjos. I’m certain there are plenty more articles in non English publications. Yes, and getting such concessions of course takes time, which is one plausible reason for the ongoing pre-launch period. It may turn out to be impossible for Boeing to fully or even partially meet its goal, especially for a relatively low volume product such as NMA. Yet if it doesn't press long and hard it won't get such concessions. It may be arguing that the concessions will be just for NMA but the supply chain probably wouldn't buy that. It may be arguing that if you want to be on NSA you better play ball on NMA. Lord knows what arguments they are actually making, but again, getting such concessions is going to take time, yet even if they get back even 10% of the life cycle profits, it will be well worth the time. I know some here work in the supply chain and don't want to hear it, but that's what TFA is telling us is going on. Keesje, I mostly allow your obvious flamebait threads to slide right by me - I get plenty of enjoyment from your visuals anyhow! But you are so persistent in counting the 797 out, as well as any possible BA strategy to contain the galaxy-conquering A321series - that I've started to seriously consider that you are in fact trying your hardest in your corner of the world to destroy the 797. I get the impression that you (on behalf of ...?) find it very frightening indeed. And I can certainly see reasons that you might be so inclined - at the start of what might possibly be a very bad 2019 for AB. “We cannot fix everything at the same time,” Airbus chief commercial officer Eric Schulz said, referring to the in-service issues, the possible production rate increases and potential product development. Airbus’ management has come to the conclusion that “we need to deliver what we committed to first” before moving on to an A320neo family upgrade. It doesn’t sound like an A322 is just around the corner unless you assume it is a carefully scripted (and likely unethical) misinformation campaign. Keesje - That cross section looks perfect for NMA/NSA - tight and light! On the second article - the Analyst says he likes the idea of 7W Oval cross section (50% more premium seats and 50% more cargo Volume), he is just saying they shouldn't optimize NMA for ranges around 5,000nm. He is saying there is a bigger market below that and he is right - an NSA based on NMA with smaller wing/wingbox/gear/tail/engines. Looked at as a combined program the extra development cost of unique NMA structure should be more than recoverable even if they only sell 2,000 or so - even if that cost $10,000,000 (which it won't if you assume common systems/cockpit interior furnishings with NSA) - that is only $5,000,000 per frame. NSA should sell an easy 10,000 - so even if the combined program costs $20,000,000,000 - that is only $1.6M per frame - a rounding error and less than 5% of the sale price of the frames. Not only in the supply chain, but also at airlines with a big MRO section. I think DL or LH might be not too inclined to order a plane, that forces them to buy parts or even maintenance services exclusively from Boeing. Agreed about DL and LH about being big on maintenance contracts. But neither are a likey candidates for the NMA. Both have the A321 already. I particularly enjoyed Muilenberg's genuflecting to the Board's sensitivities in the 2018 Annual where development risks where concerned. He talked about carefully managing development loads (risks) so that such loads were sequential (in series) rather than in parallel. 4) 777-8 is yet another twinkle! 5) but meanwhile Muilenberg has 1,000 expert staff (minimum) full-time on the 797. Forgive me for assessing all that as a massively-parallel development effort! But to "conserve the appearances" (a la Galileo), Muilenberg says with a straight face that BA is carefully and sequentially programming development effort. Then we see reason 4) revealed! Please provide a source for the statement that at least 4200 of the 4650 737MAX in the backlog are for 737-8s. Have all publicly announced orders for 737-9s and 737-10s. How do you add these commitments to less than 450? Agreed about DL and LH about being big on maintenance contracts. But neither are a likely candidates for the NMA. Both have the A321 already. While Bastian uses the past tense to describe the launch customer discussions, which likely occurred during meetings he had with Boeing in March, he explains that Delta cannot commit to ordering the NMA until Boeing's board decides to build the aircraft. Until then, the airframer and Delta are in the "discussions phase", he says. Last edited by Newbiepilot on Wed Feb 20, 2019 2:05 pm, edited 1 time in total. 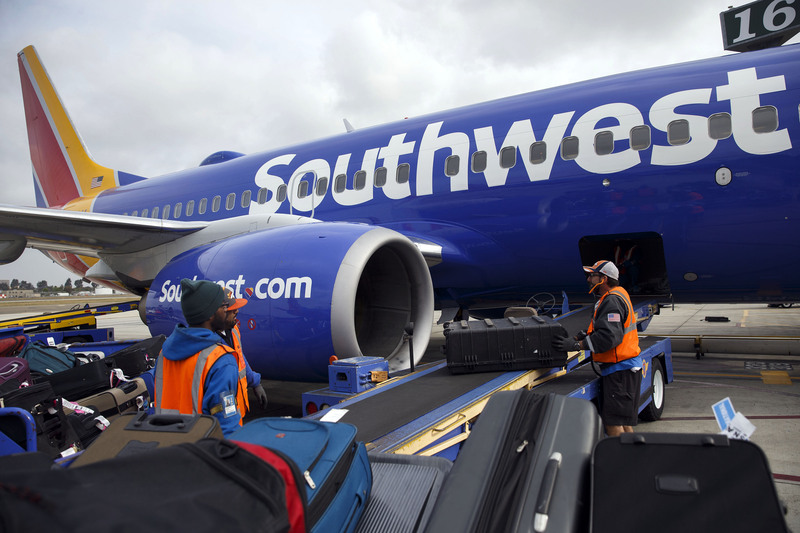 The airlines know all about baggage fees and seat reservation fees and fuel excise charges during periods of decreasing fuel costs, so they should be OK with having to pay more just to make someone else's profit margin bigger, right? In the end it is a question for every airline that flies the planes longer than 10-12 years and needs heavy maintenance services. Do you believe that Boeing´s additional revenue will come from the suppliers giving up some of their margins alone, or do you believe that you will have to pay more for parts and some maintenance services, when they can only be sourced through Boeing. Imho it is a fight on two fronts for Boeing, they need the suppliers to give up margins, but they also need to convince airlines that the higher lifetime revenue Boeing expects, will not have to be paid by the airlines. In the end this is something like the LEAP MRO debate, but on much larger scale. Most of the in development you list do not require the same engineers as say the 778. Take landing gear. All are at least in qual test configuration, which means 80% of the design team is looking for something to do. Landing gear engineers... are landing gear engineers and have little interest in working anything else except arrestor hooks. If work wasn't started on the gear 2 years ago, it isn't happening. There is a reason so many aircraft use "hand me down" landing gear. If an engineer wants to jump ship to United Technologies, Lockheed, or Northrop, they'll be welcome with open arms (assuming suitable references*). Same with cockpit design teams. Same with wing design (excluding a few stress engineers to cut weight). Same with vertical and horizontal stabilizer design (although, those engineers tend to be flexible). What Boeing has on the dock is heavy into test (my current work), but not so much fundamental design. Since the 797, excluding software, will not be into component testing until 2021 (through 2024). In particular gear and brakes must start early. Same with the mock cockpit. Subsystems start 2022, systems (iron bird) by 2023. Flight test by 2024. All for a 2025 EIS. But if you look at the programs you mentioned, they will exit design and testing stages in time for the staff to work the 797. In fact, Boeing will have degreed engineers start fleeing if they do not launch by Paris due to work being completed. People like to know their next project. Bastian explicitly said it was a discussion, not a decision. Launch customers can't have cold feet. I prefer Boeing and am anxiously awaiting the 797. But I'm also realistic of who will be ordering it. For US carriers I see United and Alaska loving it. AA might find it useful out of PHL and CLT to Europe as well as MIA-South America. Indeed, the trend is clear. Another trend setter is Lockheed-Martin with the F-35. Pretty much everything you do to the F-35 has to go through back-end systems that LM controls. Customers screamed about it to varying degrees, but in the end it is how the product works and eventually customers found a way to accept that the rules of the game have been changed. Again we don't know what kind of formulas/goals Boeing is trying to achieve either for NMA on its own or NMA+NSA, but we do know they are trying something. TFA points out how these things go in cycles. In the past, Boeing itself was more vertically oriented i.e. owned/controlled most of the product's content. Then we saw the fad in the early 2000s was to sell off Spirit et al to cash in on that asset. Now we see via SpaceX etc how much profit is left on the table when you take that approach. Thus the fad is shifting back from horizontal to vertical. If TFA is right and the suppliers are taking 70% of the life cycle profits, I'm sure Boeing would consider an initial claw back of 10% of that a huge win. Don't be surprised if the NMA is going to be a 767/757 like project... Boeing released the 767 and the followed up a year or two later with the 757. This is my guess, as I am sure Boeing has peripheral vision and looking at all programs at all times. They don't just focus on one program. They have teams working in parallel to make the best use of the resources. The 737 line is more or less sold out until 2025. There is absolutely no evidence that a 737 replacement is back on the table in the summer of 2019. One has to project a lot of gloom and doom to build a business case that the 737MAX needs to be replaced in parallel with the NMA. Keesje projects the doom and gloom but hasn’t stated any evidence to back it up. To respond to the title and original post. I do not think that Boeing has to be actively planning the 737 replacement at this time - except for prototype concept ideas; which I am sure they are doing. It is my estimation that Boeing has targeted about 2030 (give or take 2 years) as the EIS of the 737 replacement. That gives time for the new generation engines to mature past the initial problem stage, and allows people to roll from the NMA (797) to the 737 replacement in an orderly fashion. I also predict that it will not look like the current tube with an under-slung wing. It will look different. Industry observers say Boeing may view the NMA, also dubbed the "797", as a means to initiate a broad business overhaul aimed ultimately at positioning the company to develop a 737 replacement. That overhaul could see Boeing adopt new aircraft design technologies, rewrite relationships with suppliers and capture a larger slice of the aftermarket pie, they say. "It's a two-aircraft deal," Kevin Michaels, managing director at consultancy AeroDynamic Advisory says of the NMA. "You work out this new business model on the 797, and you take this to the new single-aisle later on." If The NMA business model is successful, it will be applied to future new airplane programs. That’s not the same thing as stating that a 737 replacement is back on the table in summer 2019. There is absolutely no reference to a timeline for a 737 replacement. I think Keesje fabricated the summer 2019 date. Honestly, the fact that Neo outsells MAX by more than 1500 frames could probably caused Boeing to look at alternatives for their narrow-body program. I think many people failed to notice how much of a blow this is to Boeing. I mean they already cornered the market with B777-300ER, B787-8 and B787-9. But it would mean nothing if B737 is dying. One of the main focus would probably on the secret development of B737 replacement. Because if they could launch it couple years before Airbus own replacement. They could cornered the market again. I mean, B787 and A350 situation and A32Xneo and B737MAX situation should be a clear sign. Especially if the timing is quite far apart. The one that comes up with the product earlier would get massive advantages. Now, since the 7-abreast NMA market would be affected greatly by the optimized A321neo. Boeing probably shift their focus on their lower end market again. It's more sensible to work on an aircraft the size of B737-800 and B757-200 rather than the 7-breast alternatives that doesn't solved the MAX vs NEO order differences. Increase the range on larger model like what Airbus do to A321LR. Imho it is mostly a test for the new business model. If suppliers and airlines play ball and if works out, it gives Boeing a very unique air plane that faces no direct competition, if it does not work out, it means you have learned that before the competition forces your hand. Because then you can not risk long negotiations with the suppliers and airlines to find out if the business model works for them. My suspicion (and it seems OK to repeat things from months ago on this thread) is that Boeing is not so much figuring out how far the 797 should fly and how many passengers the 797 should carry. The maximum sees upwards of 5000 miles or 270 passengers (with the two versions). Rather how few miles it can fly and with how few passengers and still be it competitive. If it could fly flights of 2000 miles with as few as 200 passengers (this likely is too low) and still eke out a profit it will devastate the largest versions of the 737/320. And it will be the first airplane to benefit from the design starting with 3D printing and other advanced manufacturing. It will be Boeing's second plastic plane - that in itself is an omen of better design and production. I am certain that both Airbus and Boeing are worried about bringing the NSA into production. Design will be well within their competence. But both will want to and need to ramp up production to 50 planes a month without major snags. 797 will be Boeing's dress rehearsal. Scary! The next impact on the industry is that a 797 invading the biggest 737/320 territory the NSA will be optimized as a smaller plane - look out 220! Dying??? It has record backlogs and record profits!!! Why do you think the battle is over market share??? Boeing is a very profitable company, paying dividends and doing share buy-backs. If they really wanted market share they could do it the old fashioned way, they could lower prices and accept lower profits. If they really wanted a smaller backlog they could fund additional production facilities and workers, but as above, they're already at record production levels. Couldn't the answer be that Boeing is perfectly satisfied with the amount of profit they get back for the investment they put in? What now? Ed has said on at least three occasions that he is very interested in NMA; Delta has a huge number of 757s and 767s that still don't have an ordered replacement; and Delta flies a ton of ~4000 nm TATL missions and high-volume US transcons that should be right in NMA's wheelhouse. Let's be very clear about the differences between the neo and MAX. Airbus has a massive advantage at the A321neo end, and that's the weakness Boeing is trying to address with the MAX 10 on one end and NMA on the other. But the MAX program as a whole is doing fine and hardly "dying." The MAX 8 has handily outsold the A320neo since it became available, and the program keeps racking up enough orders to maintain a backlog of more than half a decade that isn't shrinking much. A320neo have 4,191 orders as of December 31st, 2018. B737MAX8 have 2,614 orders as of January 31st, 2019. You think Boeing became the most successful company by staying still and let their biggest competitors work on new next gen aircraft? B787 is the proof for Boeing success. They didn't re-engine B777-200ER in mid 2000. They make a new clean sheet aircraft to gain profits and market shares, and it paid off in a big way. Also, you don't wake up one day and launch a new aircraft, the research could take decades. I don't think Boeing is dumb enough to ignore it.